Matteo Bertazzo holds a Master Degree in Computer Science from Ca’ Foscari University of Venice, Italy. After a research fellowship in Location-based Services from the National Research Council he works as web developer and technical project manager. He currently works as Solution Designer and PMP® certified Project Manager at CINECA InterUniversity Consortium. He has been involved in a number of Education and Digital Humanities projects, both for the consortium’s members and for EU-funded projects. 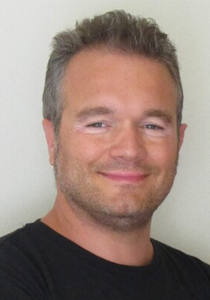 He currently leads the development of Bestr, the Italian Open Badge platform. Chiara is Project manager and consultant in the Cineca's Business Unit dedicated to Public Administration and Industry. 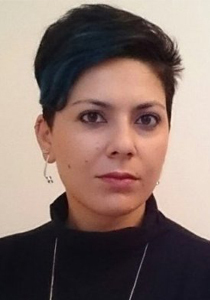 With a background in Philosophy, Chiara works at the intersection between humans and technologies: from semantic web to digital communication, from web analysis and monitoring to user interfaces, from functional requirements to technological applications capable of changing social interactions - such as Open Badges and Blockchain. 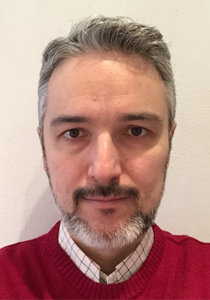 Federico Giacanelli holds a Master Degree in Theoretical Physics from the University of Bologna (1993) and a Physics PhD from the University of Torino (1998). He then focused on the Internet and the Web, working on networking administration, elearning, Multimedia and early streaming services, Ontology based portals, Blogs and CMSs, digital libraries at CINECA InterUniversity Consortium. He loves exploring digital human interactions so he works on web application design, from gathering functional requirements to UX design. He currently works on Bestr, the Italian Open Badges platform, for which he is responsible for UX development and general application design and testing. He recently become the project lead of Student Advisor an intelligent conversational agent to help Students in their university life.